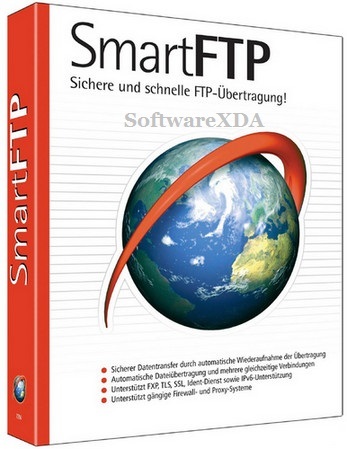 SmartFTP is a smart and efficient FTP (File Transfer Protocol), FTPS, SFTP, WebDAV, S3, SSH, Terminal client. It allows you to transfer files between your local computer and a server on the Internet. With its many basic and advanced Features SmartFTP also offers secure, reliable and efficient transfers that make it a powerful tool. Multiple FTP connections can be opened at the same time, and you can copy files from one remote host to another (FXP). Remote-host directory information is cached for future viewing, and FTP URLs are supported.